There’s a variety of ways we can get the attention of our favorite fuzzy and feathered companions. A dog’s ears will always perk up at the squeak of a toy. The most colorful fish will always wind its way through the castle in the aquarium and lizards will undoubtedly find their way under the heat lamp. And us? Well, we always find our way to the best pet supply store to keep our animals happy and satisfied. The Pet Supply Company has it all when it comes to Lhasa Apsos, lizards and livestock. The ecommerce pet supply shop recently teamed up with OC Designs Online for a customized store design. Now finding your favorite pet product is no longer an online obstacle! The header of this BigCommerce store design is captivating and colorful. 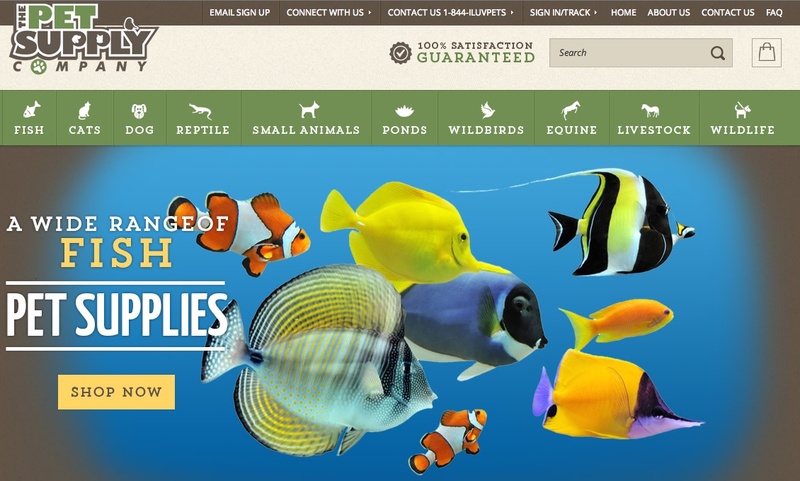 Tropical fish greet the online shopper and invite them to “Shop Now”. Along the top of the page is the store logo in a green and soft brown font keeping an Earth tone to the shop. A green panel borders the top of the picture with tabs for each type of animal. This directs shoppers to the section of the store that best suits their animal at home. Finding and browsing store inventory becomes quick and easy! 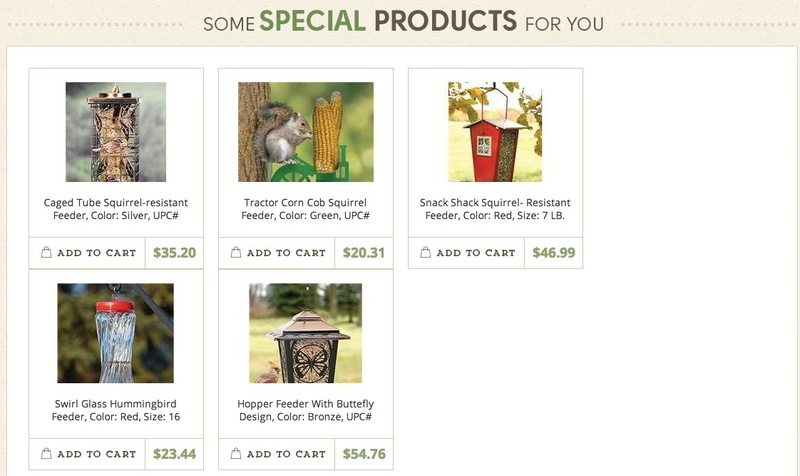 The midsection of this BigCommerce shop design focuses on pet and animal categories. Each tab has a visual of the animal, a title for the section and multiple product subjects that appeal to that specific pet! Food and accessories are easy to find in each section along with other items some people may overlook without the simple reminder. The footer of this store design keeps top products and specials in the spotlight. Each tab includes a photo of the product, a small description, the price and a tab to add the item to the digital shopping cart. It’s a great section to list discounted items, new inventory or products some people may easily overlook. For a customized BigCommerce store design come browse the options at OC Designs Online. From pet supply shops to fine and antique jewelry- there’s no limit to what we can do! Our goal is to customize it and make it stand out for you. Take a moment to browse our portfolio and request a free quote. You won’t be disappointed!